It’s been a while since I posted a recipe. But since, I’m in Jamaica this weekend it’s only right that I share one of my favorite Jamaican dishes with y’all. 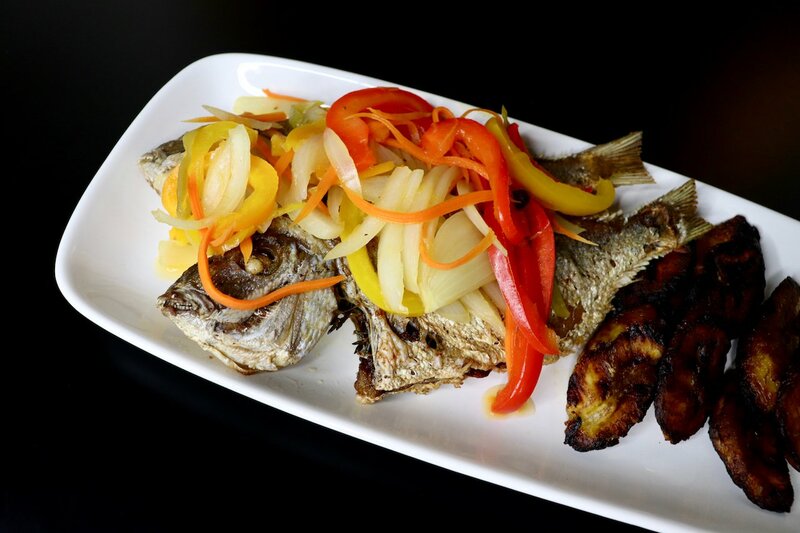 Escovitch Fish. No, I’m not Jamaican. But I appreciate all types of cuisines. 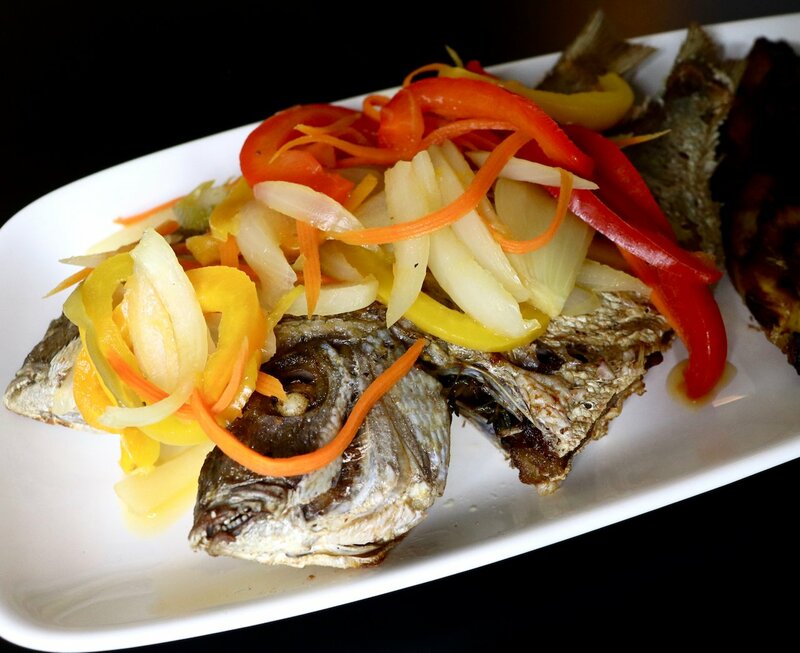 It’s a few restaurants near my apartment that makes delicious Escovitch Fish. I order the dish pretty often and it’s not cheap, so them coins add up. A few weeks ago I decided to try and make it myself. It was a success. So I’m sharing my recipe with y’all. To prepare the pickled vegetables, first heat olive oil in a large saute pan. Add onions, carrots and peppers, and saute until tender. Season to taste with salt and black pepper. Next add the vinegar, all spice and sugar, and let simmer for a few minutes to let the flavors merge. Turn off the heat. Now it’s time to prepare the fish. Heat the vegetable oil in a frying pan. Wash the fish with the lime and pat dry. Season the outside with seasonings of choice, and stuff the belly with the sprigs of thyme and cloves of garlic. Fry a few minutes on each side until crispy, then drain off excess oil. You can use the same pan to fry up the sweet plantains. Plate the fish and top with the pickled vegetables. 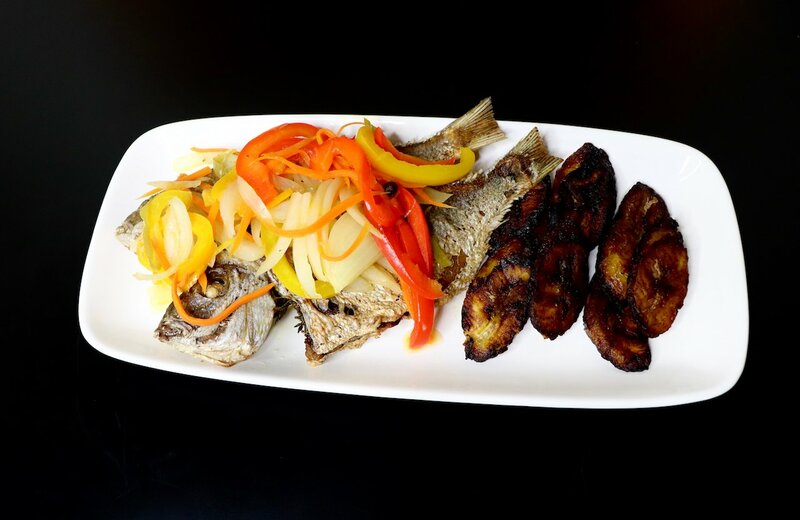 Serve the plantains on the side. Enjoy!